Browsing the web should be a smooth and safe pastime. But most online content is surrounded by ads nowadays, and some can even lead you to dangerous downloads. AdGuard Ad Blocker makes the Internet better by blocking ads before they load and shutting down malware. 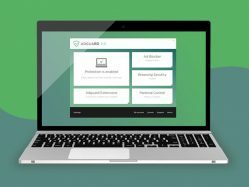 Right now, you can get a lifetime Standard license for just $ 19.99 via MakeUseOf Deals. Ads are often distracting. But their unseen effect is far more unappealing. Whenever you load your favorite blog, Google and other ad providers are tracking your every click. 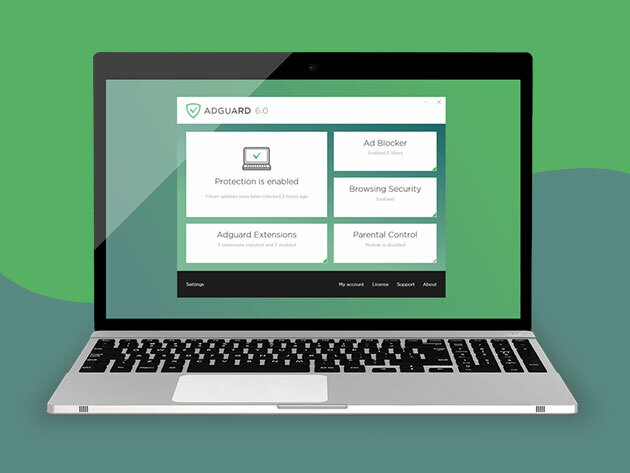 AdGuard puts an end to this privacy invasion. Available in all major desktop browsers, this adblocker can actually identify and block bad code before the page even loads. This includes all kinds of ads, from simple HTML banners to flash animations and video ads. Not only do the ads disappear, but every page should load faster. But AdGuard isn’t only about ads. This service uses Web of Trust data to verify the safety of every website. In addition, you get advanced protection from malware and viruses. The Windows version even allows parents to set up content filters. This deal covers one Windows or Mac machine, with unlimited usage and lifetime updates included. A lifetime license is normally $ 79.99, but you can grab AdGuard Standard now for only $ 19.99 — that’s 75% off the usual price.